When you get injuries, your body tries to heal itself by producing enzymes that cause inflammation and pain. Cold reduces this inflammation and helps limit its effects. It reduces pain. Cold works by lowering the temperature of the injured tissue locally which, slows down the release of the inflammatory “mediators” and returns the tissue to a more normal state. The faster you reduce inflammation and get rid of the inflammatory byproducts, the quicker you heal. When you add compression to cold, the cold gets a “compression boost” that goes deeper into your muscles and tissues. If you add massage, it helps your body get rid of toxic byproducts of injuries and increases muscle and joint flexibility. The revolutionary Therma1™ combines cold, compression, and massage. Heat is helpful after the acute phase of injury subsides. Heat helps to increase the local blood flow to the affected area, bringing healing nutrients. Heat works best when combined with compression and massage which help get rid of the by products of the inflammatory process. That’s because your body has to break down and remove the injured tissue so that repair tissue can be laid down. The sensation of heat also facilitates the return of more normal motion to joints and more flexibility to affected muscles, tendons and ligaments. Normal motion gets you back in action quicker. When you add compression to heat, the heat penetrates deeper into muscles and joints, facilitating faster healing. It’s a “compression boost” for heat. And, when you add massage, it helps to mobilize lactic acid, enabling the body to remove it from the muscle. The revolutionary Therma1™ combines heat, compression, and massage. Compression and massage improve the effectiveness of both cold and heat. Together, they help to remove fluid from tissue (the kind that occurs with swelling), which explains why swelling decreases in muscles and tendons, ligaments, and joints after compression and massage. As swelling goes down, it results in decreased pain and increased range of motion and flexibility. The science of healing shows that the right kind of treatment is only part of the reason you recover faster. You also have to complete the treatment regimen. And, many people don’t. Because, until now, using all 4 treatments – cold, heat, compression, and massage – has often been inconvenient or messy especially because it has often involved frozen Dixie cups of ice, microwaved wet towels, and more. That’s why noted sports doctor and orthopedic surgeon, Dr. Riley Williams, invented Therma1™. He wanted all his patients to get better faster, whether pro athlete or weekend warrior. And, he knew that the best way to help was to make it easier and more convenient to complete the right kind of treatment. So, Dr. Williams worked with top orthopedic surgeons, athletic trainers and physical therapists, to create Therma1™’s sturdy frame, ergonomic handle, and unique contoured rollers that can be heated in a microwave (Hot Roller) or cooled in a freezer (Cold roller). Therma1™ is designed to deliver cold or heat along with deep, penetrating compression and massage. A true 4-in-one. 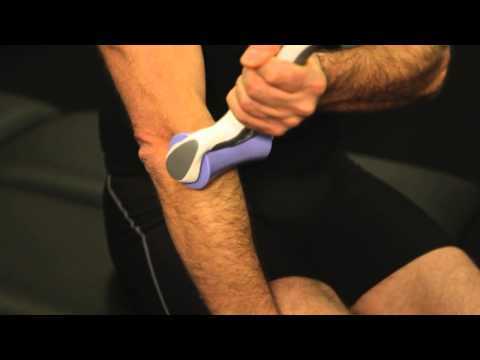 Convenient and easy-to-use, Therma1™ is very effective at helping you recover faster. And, here’s how Therma1™ will help you prevent injuries from happening in the first place.